Del. Mike Pushkin, a Democrat from Kanawha County, speaks on the House floor during the Legislature's special session. West Virginia lawmakers wrapped up work on a special legislative session Monday afternoon. The House and Senate completed eight bills, including technical clean-ups to legislation passed during the regular session, as well as supplemental appropriations. Although lawmakers fast-tracked the measures on Gov. Jim Justice’s special session call, Delegates debated House Bill 101 for nearly an hour. The bill creates the Department of Arts, Culture and History. The bill also creates the position of curator to lead the department -- in lieu of a traditional, cabinet-level secretary -- and report directly to the governor. Randall Reid-Smith currently serves as the commissioner of the Division of Culture and History and will assume the role of curator of the new department. 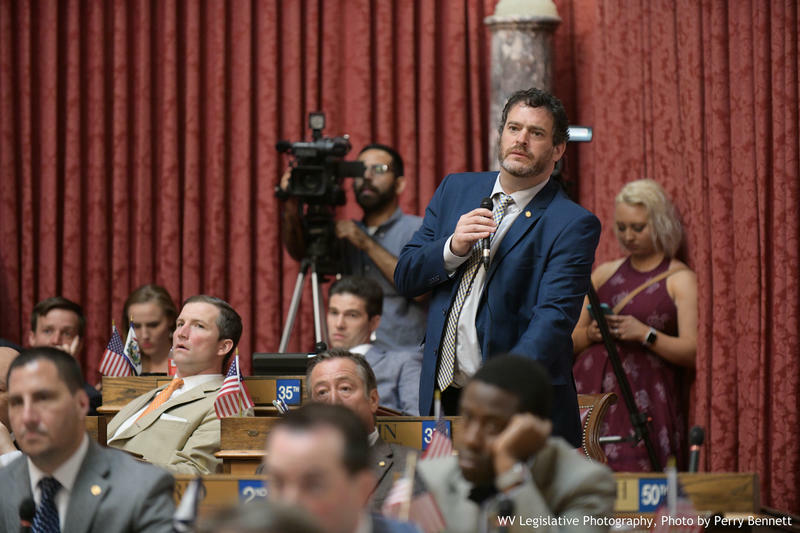 Lawmakers dismantled the Department of Education and the Arts during the regular session with the passage of House Bill 4006. Just before signing the bill, Gov. Justice fired Secretary Gayle Manchin, who is also the wife of U.S. Senator Joe Manchin. Democrats in the House questioned Monday whether the new curator position functions any differently than did the secretary of the previous department. Del. Mike Pushkin of Kanawha County also questioned House Education Chair Paul Espinosa whether the bill eliminated bureaucracy. “So by creating a new department we're eliminating bureaucracy -- is that what I just heard?” Pushkin asked on the floor. “Well, as I explained in my opening, we’re essentially reconstituting the existing Division of Culture and History as a Department of Arts, Culture and History. So, [we’re] not creating a new bureaucratic entity, simply renaming the existing department,” Espinosa replied. The Educational Broadcasting Authority -- the formal name of West Virginia Public Broadcasting -- and the West Virginia Library Commission remain independent agencies within the new department and will receive administrative support from the curator. With only a slight technical amendment, House Bill 101 passed the lower chamber on a 73-20 vote. The measure passed the Senate 28-1. Other bills included in the special session related to retroactively providing death benefits to the families of first responders, the management of state fleet vehicles, human trafficking and supplemental appropriations.